Christmas is officially over in the Vanderlist household and amazingly there was only one return this year. Turns out I paid attention to what the family REALLY wanted vs my usual shopping technique of grab and go on Christmas Eve at the dollar store. 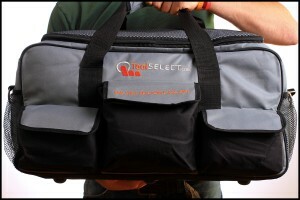 Speaking of people getting what they wanted, the holiday weekend interrupted our weekly www.Toolselect.com Tool Bag drawing. So rather than pretending like it never existed, I’ve drawn last week’s winner this morning. REMEMBER! We’re giving away one bag a week throughout December and another as part of the regular schwag giveaway. So if you’re not entered this month, just fill out the schwag entry form by visiting our “Schwag Giveaway Page”. Did you get gift certificates this year? Use our links to get what you wanted while helping the show.